ProDent NY (New York) - Book Appointment Online! When you visit the Manhattan New York dental office of Dr. Benjamin Schwartz and his associates, your smile is our top priority. 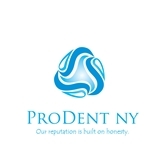 Our entire team here at ProDent NY is dedicated to providing you with the personalized, gentle care that you deserve. Dr Schwartz is the best dentist I've had in all my years. He is professional, gentle, careful, and sometimes funny. The staff is also good and always greets you by your first name the minute you walk in. I highly recommend this practice.